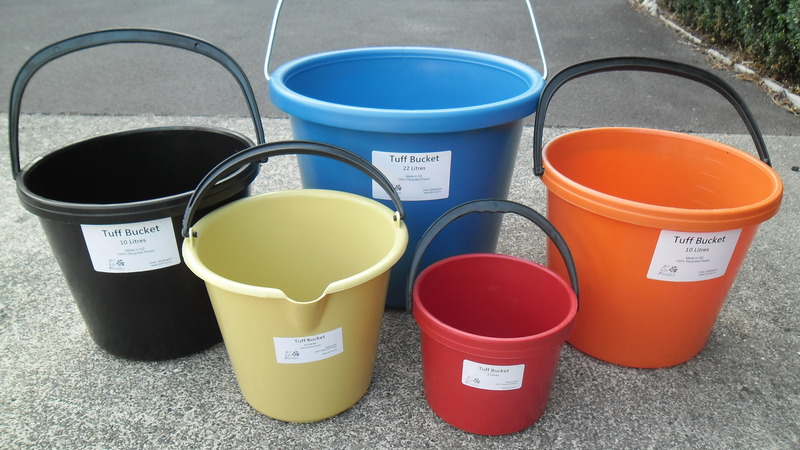 Our buckets come in a range of sizes by volume – 22L, 10L, 6L and 2L. We call them Tuff Buckets™ because, well, they’re tough! They are made from recycled plastic such as disused bread crates, wheelie bins and plastic pallets. You may even recognise the colours! We even make the handles ourselves from recycled plastic. We should point out that there is no comparison to the $1 buckets you can get from your local bargain store; ours will last you many years. You can purchase Tuff Buckets™ from your local Farmlands, Hammer Hardware and other good DIY and cleaning specialist outlets.